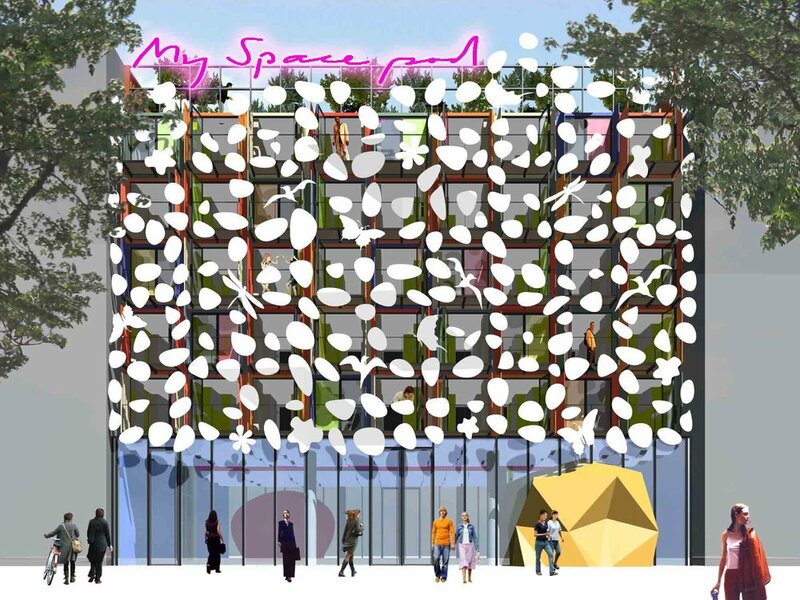 My Space Pod is a modular system devised by Will Alsop which applies itself to numerous applications from a single Pod unit to a whole campus of multiple Pods to house thousands of students or workers. It offers an efficient, quick to build system of accommodation for hotels, nursing homes, students and key workers. It lends itself to numerous configurations in varied locations. The Pods can be stacked to 15-storeys at varied or uniform levels, providing complexes of between 100 and 250 units on plots of 1,000m² to 2,000m². My Space Pod aims to lead the way in sustainable living. The system ensures lower wastage during construction, incorporating the latest green technology and standards of environmental sustainability. 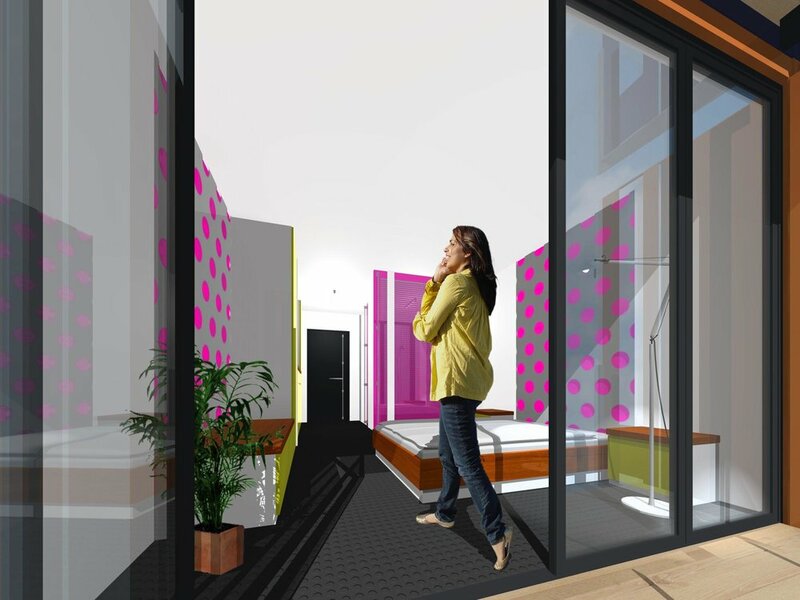 The Pods produce fewer carbon emissions and are doubly-insulated, requiring less energy for heating.